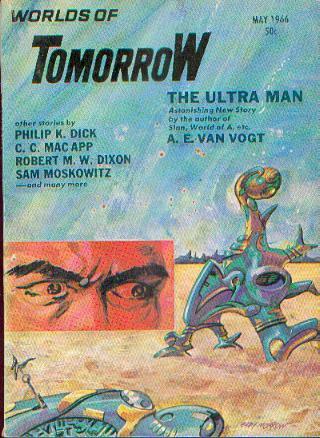 I keep this old issue of Worlds of Tomorrow (an old pulp magazine) in my office with a nice article from Robert M. W. Dixon about the relative nature of number. He imagines what a species with six fingers on each hand might do with counting, and proposes that they would develop a number system with less weight on 5, 10, and 100 and more on 6, 12, and 144. His argument is that given a different physiology, a species might develop a radically different number system, and that there’s no real natural basis to number — an argument pretty similar to Brian Rotman’s, Helen Verran’s and Stephen Chrisomalis’ work. Time, like number, is a social invention, and given different environmental conditions, we might have a very different system of time. Like Stan Robinson’s Mars Trilogy, the day on Mars is necessarily going to be ordered differently than the day on Earth. Our day is measurable and predictable, but it doesn’t necessarily fit in well with our calendar system (hence the need for Leap Days). There’s a nice piece in the New York Times Magazine from about a week ago that reviews a new book about chronobiology and the frictions that society produces for individuals. One of the points that both the book and article authors make is that individual clocks vary significantly from one another and over the life course — so the same person has radically different sleep needs at infancy, through childhood, during adolescence, young adulthood, and so on. And, added to that, are the clocks of those around us — those we share beds with and care for, which I talk about at length in The Slumbering Masses. The problem that so many of us face, especially during our teen years, is that our clocks are radically at odds with the institutions that shape our lives, especially school. The debates around changing school start times have been going on for a long time now, and the evidence seems pretty compelling. Scientists can show that our cues for sleep tend to move later in the day and our need for sleep is longer, e.g. during your teens you might not be able to fall asleep until 11 PM and you might need 9 hours of sleep, making an 8 AM (or earlier) school time especially difficult to make. As a result, students end up falling asleep in class, have short attention spans, consume too much sugar and caffeine, act testy, and perform poorly in their school work. The schools that have recognized this have started to move school days later for middle and high schoolers, and have moved the school day up for elementary schoolers (who tend to wake up early). Unfortunately, there’s still a lot of resistance to changing school time, and it has a lot to do with social uses of time. Parents tend to want to have earlier school days for their children, to ensure that they’re watched while parents work. And they don’t want buses to interfere with their morning commutes. Meanwhile, sports teams prefer to practice at the end of the school day, but want day light in order to conduct themselves. As a result, the school day remains relatively static, continuing to ensure that many students are chronically sleep deprived. Our internal clocks tend to be rather stable within each life stage,* and so are our social cues (e.g. work starts at 9 AM or school at 7:15). But when we’re chronically sleep deprived, we tend towards earlier sleep throughout the week. And if we have social obligations blocking our ability to sleep — child or elder care, take-home work, chores — our sleep debt grows and grows. As a result, we crash and catch up on the weekends, only to start the whole cycle over again the following week. We pay off our debt only to build it up again — a nice synecdoche for American life more generally. And, sometimes, we end up seeing doctors for our sleep complaints, which can result in being prescribed a medication for problems that are largely socially determined – which I write about everywhere. There are two solutions to these problems: First, our policy makers need to spend a little more time talking to scientists and physicians (and the occasional social scientist), and to take what they have to say about our biological drives more seriously when it comes to instituting social times. And, more importantly, our institutions need to be made more flexible. I think back on my time in high school, and I know some of my teachers didn’t want to be there at 8 AM any more than I did. Why not have a staggered school day, and allow students to start at 10 AM and end at 4 PM, or 7 AM and end at 1 PM? Flexibility like this would attend to the broad variation of physiological and social experiences, and help minimize our negative reactions to the requirements of everyday life. And it might just help us sleep better at night — or whenever the urge hits us. After all, there’s nothing strictly natural about our everyday schedules — they could be ordered radically differently — but it’s up to us to re-imagine the possibilities. ← What’s Your Work Week Like?